You cannot have peace without humility and where there’s arrogance, you’ll always have war. According to Vatican Radio, this was at the heart of Pope Francis’ homily today during his daily morning Mass at his residence Casa Santa Marta, as he gave three attitudes necessary to building unity in the Church, and also in daily life. Francis noted that our Lord’s greeting “creates a bond” of peace and unites us, to create a unity of spirit. He warned that if there’s no peace and if we aren’t able to greet each other in the widest sense of the word, there will never be unity. This concept, the Holy Father explained, applies for unity in the world, in the town, in the district and in the family. 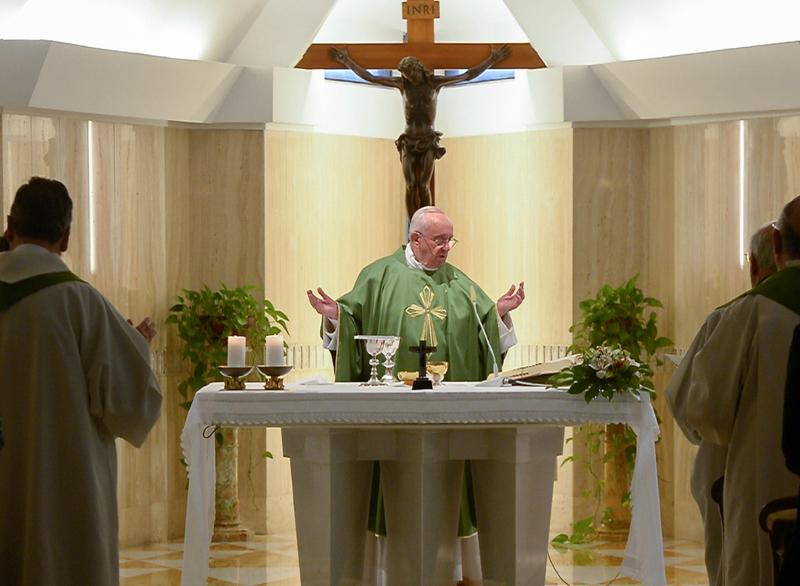 These three elements, Francis reiterated, “creates the bond of peace” and are the right way to respond to that call to the mystery of the Church and of Christ.